Where is the quietest place on Earth? I just wondered if there is a known "most quiet" place on Earth. Perhaps people have measured "ambient" sound throughout the year in various places claimed to be the most quiet. And perhaps one has emerged as proven to be quieter than the other contenders? One journalist did attempt to research this - both the artificial labs and the natural spaces. He details it in his book - Zero Decibels if you'd like to read it. Several years ago, the Campaign to Protect Rural England declared a spot in Northumberland the most tranquil place in the country (when the nearby military base isn't doing training exercises). 12 such quiet places exist in the US, with more found around the world. A spot in the Hoh Rainforest in Washington is one, as are places in Grasslands National Park in Canada, Boundary Waters Canoe Area in Minnesota and Haleakala National Park in Hawaii (see gallery). The others, however, he keeps confidential. Recently, a map of the USA was created to show the quiet spots on a summer day. So that gives some idea for sound levels in the US. As you'd expect - away from people, cities, and wildlife tends to produce quiet, although windy areas also affect it. Aside from nature, he points out the quietest places are custom built, such as the Anechoic Chamber at Orfield Labs, in Minnesota. "Group tours are available a few times a year and include a brief stop at the anechoic chamber (call the lab for details). But the facility has had so much interest in the 45-minute challenge that the founder Steven Orfield is considering making that option available to the public within the next year, and is working with the Guinness Book of World Records to establish an official record for the longest time spent in an anechoic chamber. The 45-minute challenge will not come cheap, however, as companies renting the space normally pay $300 to $400 an hour, and someone trained from the lab must be able to supervise the participants to ensure their safety. " As of this month, Microsoft now officially holds the Guinness World Record for quietest place on earth - inside Building 87 on the sprawling Microsoft campus in Redmond, Washington. A typical quiet bedroom at night measures about 30 decibels; this chamber measures at -9 decibels. It is made of 3.3-foot-thick fiberglass acoustic wedges, double walls of insulated steel and foot-thick concrete. The chamber is in fact in the Guinnes book of records for being 99.99% sound absorbent. When it’s quiet, ears will adapt. The quieter the room, the more things you hear. You’ll hear your heart beating, sometimes you can hear your lungs, hear your stomach gurgling loudly. In the anechoic chamber, you become the sound. The chamber is a test chamber for product, not people, and we can not allow anyone in the chamber alone for any significant amount of time without supervision. Orfield Laboratories costs are $100.00 per person with a $200.00 minimum, Monday through Friday by reservation. If your interest is in challenging the "45 minute record", there is NO Guinness World Record for time spent in the chamber, this has been incorrectly reported in many press stories around the world. If you would like to schedule a visit please contact me via email at Info@orfieldlabs.com . 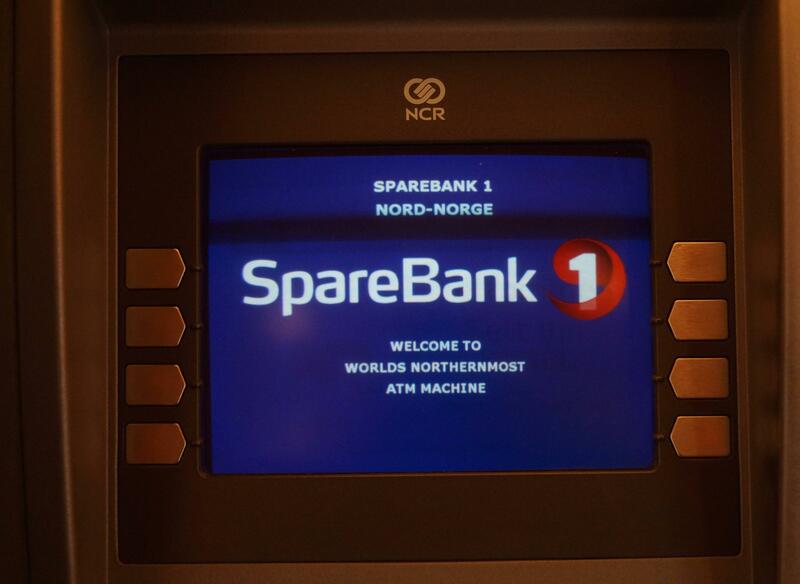 All payments must be made 2 weeks in advance of your visit. I used to live in the Canadian countryside, and I would say that even if you are far from the noises of man, the noises of nature are still rather loud. Wind (both direct and from moving the grass and trees about), rain, wildlife etc. Much quieter in the winter but I would not call it silent. A cave, on the other hand, is about as quiet as the artificial chambers. Yes, it echoes but unless it has running water the only sound deep in a cave is your own noises. Svalbard is naturally quiet. There are no trees there which makes the sound of the wind a lot less. Also, this means that there are not many birds there which also reduces the sound relative to other places. It is also a place you can easily visit, there are regular flights to the main settlement on Svalbard, Longyearbyen from Tromsø and Oslo. As this picture taken by me there shows, it's pretty much as far North as a normal person can go. The limits of our hearing sensitivity mean that many of the quieter places in the world will all sound the same. It is unlikely you would be able to tell the difference between the sound levels in the quietest place on earth and the 100th, or even 1000th, quietest place. Further, your breathing and fidgeting will have a serious impact on the sound level in these ultra quiet places and will in fact swamp the ambient background noise. Unless you are some place like the Mapparium, reverberation of the sounds of your breathing and fidgeting will likely have little effect on the sound level. 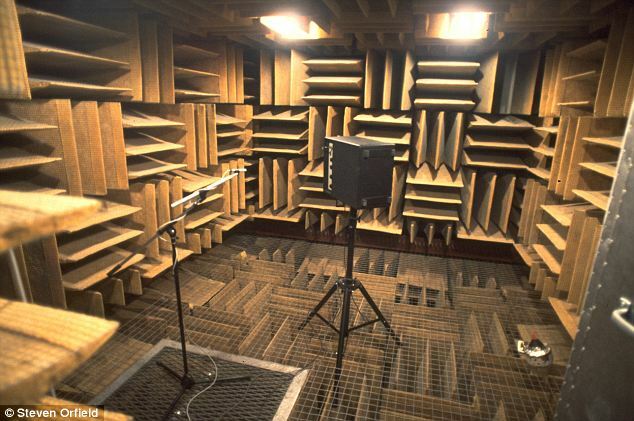 This means that the absorptive foam wedges in anechoic chambers will not provide a noticeable decrease in the sound level. The heavy concrete walls of the sound booth and the vibration damping used in the construction of sound booths in general, of which anechoic chambers are one type, provide good isolation from external ambient sound. My guess for the quietest place on earth are the Inchindown oil storage tanks in Rossshire Scotland. 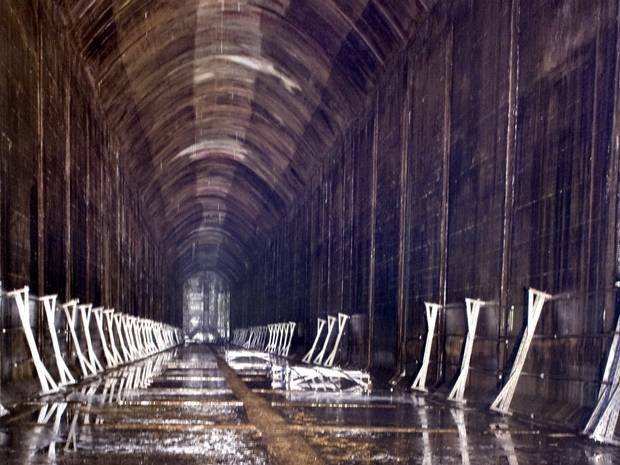 They are in essence the opposite of an anechoic chamber and are the place where the worlds longest echo was recorded. What makes them so good for echoes is the massive weight and thickness of the surrounding rocks. It basically means that no outside sounds get in so the only sound would be your breathing and fidgeting. If you can hold your breath for 112+ seconds and not move, you should be able to experience the silence of the Brownian motion of air. I adore silence.I discovered this in Las Canadas National Park, Tenerife. Below the peak of Mt Teide sit ancient lava flows.The original Caldera of the island, now a flat plain. Take a walk into the middle and sit yourself down. You will find more moments of silence than you can imagine. For those of you who can read Dutch, (or use an online translating service) here is a link to the page about the 'silence areas' following the Dutch laws for such. Een stiltegebied is een milieubeschermingsgebied waarin de geluiden van flora en fauna overheersen. Het woord ‘stilte’ betekent hierbij niet dat er geen geluid in het gebied waarneembaar is, maar staat voor de afwezigheid van storende, voor de omgeving vreemde geluiden. Stiltegebieden zijn van belang voor de rustzoekende recreant en de flora en fauna in de natuur. Activiteiten die de geluidsbelasting negatief beïnvloeden, zijn niet meer mogelijk in het gebied dat als stiltegebied is aangewezen. Gebiedseigen geluiden, zoals die van de landbouw, zijn hiervan uitgesloten. Onder 'stil' worden geluiden verstaan die tussen de 35 en 40 decibel liggen. Short translation: A silence area is a protected nature area within which the sounds of flora and fauna take the top. The word 'silence' does not mean that there are no sounds but just no annoying sounds that do not belong to the area. Man made sounds normal for the area, like farming sounds, are allowed (but areas selected that they are rare rather than an everyday thing) and all other man made sounds should stay below the 40 decibel level. You will often find many people cycling in several of the areas, in others you will find waves (as part of the areas are covered in sea) but in build up Western Europe it might be your best bet. I guess Greece has better places to avoid man made sounds, as there are islands that do not have (much of a) population. Het bos is initieel aangeplant; bij het planten is rekening gehouden met de abiotische factoren. Omdat de natuur in hoge mate haar gang kan gaan, verwacht men dat er een spannend milieu zal ontstaan. Zeker wanneer de grote grazers een kans krijgen zal in het Horsterwold een natuurlijk bos ontstaan. <-> In het stiltegebied zijn geen gebaande paden; de recreant kan gebruikmaken van de groenstroken, wildwissels, of gewoonweg rondstruinen. Laarzen zijn wel aan te bevelen. Shortened translation: The forest was planted with a view on being able to grow without much management. It is expected that nature will create an existing balance, specially when large herbivores do their work to create a natural forest. <-> In the silence area there are no made paths, the visitors can use the natural and animal made paths or go around as they wish, gumboots are advised. Once inside, having good weather and no wind, it is extremely silent. On the other hand, it may be disturbed by the sound of chattering teeth. Sand desert Again very quiet. Rocky deserts may have some noise due to weathering causing some small landslides. Examples are Rub' al Khali (Saudi Arabia), Badain Jaran Desert (China), Namib Desert (Namibia) the big Australian Sandy Desert etc. etc. The Empty Quarter (Rub Al Khali) is accessible by car from Abu Dhabi. You have both access and phone service - that you may prefer not to use, of course - and it is silent, it makes voices sound weird. There are areas where people use dune buggies far away, but this is a very, very large and accessible desert (while still in the UAE, you will have full phone coverage). I camped out there many times, and when the wind was down (during sunset and sunrise, there are transitional winds), I got the heebie-jeebies from the silence. You can hear a small beetle negotiate a dune nearby. Very beautiful, too. While technically not on Earth, per se, being in low-Earth orbit is about as quiet as you can get while within the vicinity of Earth, and space tourism is just starting up (although expect to pay a lot of money for it). Of course, if you can get up there without any sort of vehicle or suit, it'll be even quieter, although your enjoyment of it might be a bit brief. Try somewhere high up, but obviously not on a windy day. High up because there will be no trees with leaves to rustle and virtually no animal life, no bird calls. I recently went up Teide volcano in Tenerife, it was beautifully sunny, still and completely silent. Not the answer you're looking for? Browse other questions tagged factoids where-on-earth destinations geek-travel or ask your own question. Where's the cheapest place in the world for a beginner to learn diving? When I travel next, I want to reach the point on the earth that is exactly opposite my home, how can I discover where that is? What is the deepest accessible point on earth? Where is the cheapest place on earth to rock climb? Where is this place “city on the rock”? Where is the longest visible line of sight on Earth from point A to point B? Place on earth with the highest minimum temperature?